What is SCUSA? The Student Conference on US Affairs is an annual 4 day conference hosted at The United States Military Academy at West Point, with the goal to better understand the challenges that the United States faces in an increasingly interconnected global society through discussion with both military and civilian student representatives. What did you do there? I was a Brown University delegate for the 66th annual SCUSA. The theme of that year’s conference was “What’s the worst that could happen?” I sat on the roundtable called “Russia Gone Rogue”, where we discussed what US policy should be in the worst case scenario. What did you enjoy the most about your experience at SCUSA? I made really close bonds with the other roundtable members, all who came from different backgrounds and brought different expertise to the table. I was taking a class called ‘International Relations of Russia’ that semester, where the professor taught the Russian perspective. It was really interesting to bring that to the table and apply my knowledge alongside the expertise of military delegates and Russian delegates. What would you consider your biggest takeaway? The biggest takeaway was learning about the lives of the cadets. Surprisingly, they didn’t appear to be different from people at Brown. However, one big distinction that hit me was how much autonomy and individuality the cadets give up to be at the Academy. 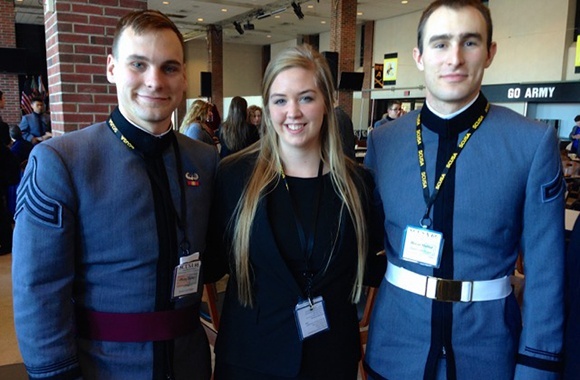 In stark contrast to students at Brown, cadets at the Academy work for the school rather than the other way around. I have an added respect for the military now. I didn’t understand the academic rigour and what the military was, really, before attending SCUSA. They are extremely dedicated and hardworking people. I think their overall commitment to serving the USA was profound.